A collection of truss types which include Axially Connected Truss, Scissor Truss, Hammer Beam Frame, Tie Rod Truss, Plate Connected Truss. deep bore drilling, and heavy buried steel rod. These elements can easily be incorporated into conventionally built houses and commercial structures. Custom design and fabrication assures a striking point of architectural focus suitable for any traditional or contemporary theme. 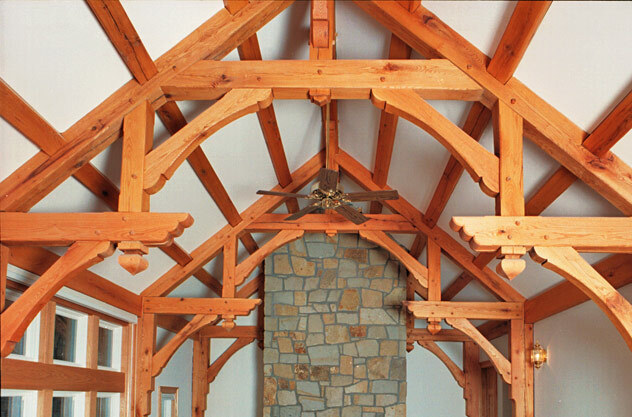 The use of heavy timber trusses allows for large open spans and vaulted ceilings. 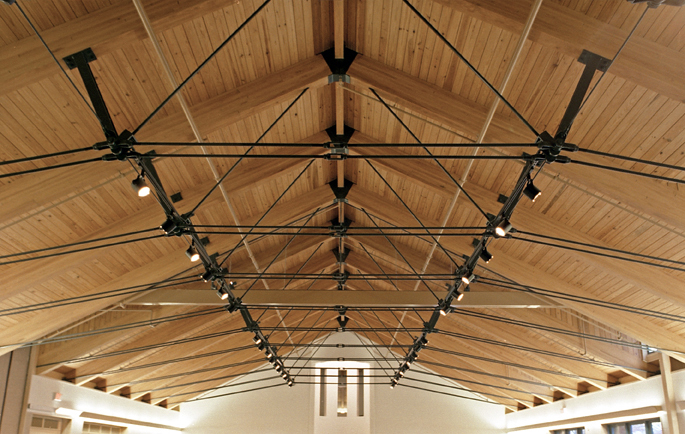 The axially connected truss utilizes hidden steel rods to provide tension sufficient to allow greater open spans. Our in-house Deep Hole Drilling capability allows ATM to incorporate this technology into its truss design and fabrication. The king post truss is characterized by a single post down the center of the truss. It is a simple yet efficient truss style that fits easily into rooms with a single ridge beam and standard rafter system. The scissor truss is characterized by the crossing of two bottom chords, forming an X. Scissor trusses are used to create the look of a vaulted ceiling and are ideal for structures with high roof pitches. 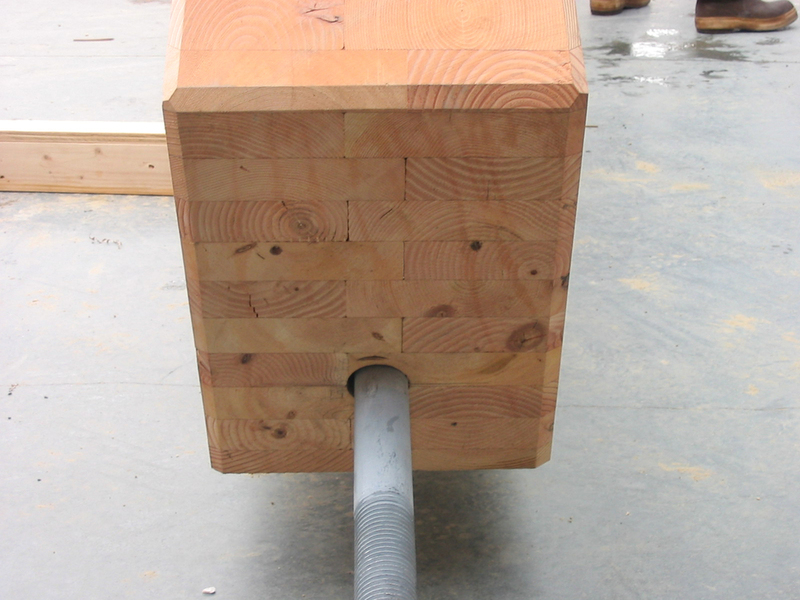 In the hammer beam the bottom chord is replaced by two shorter beams that extend only partway into the center of the room. 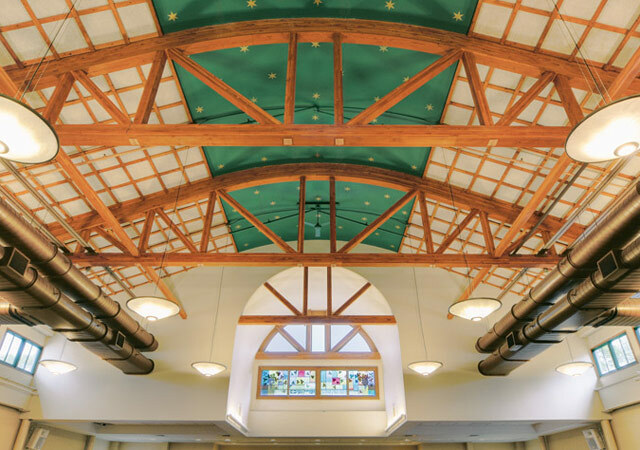 This elegant old-world style of architecture creates a vaulting, open, Gothic effect in a ceiling system. 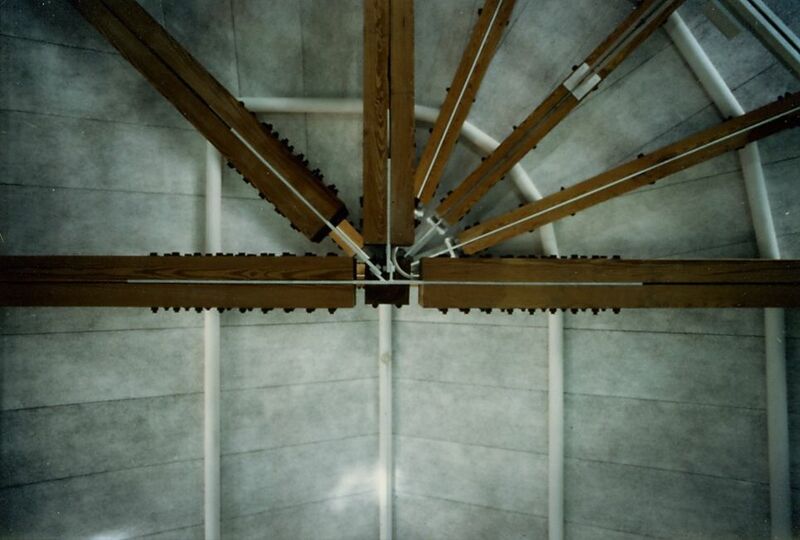 In this type of truss, the center timber members are replaced by steel rods, contributing to a more open feel. Aesthetically, a tie rod truss has a lighter appearance and offers a pleasing contrast of industrial hardware against large wooden elements. The bow string truss is characterized by a long, continuous, wide-radius top chord and functions similarly to a parallel truss. This truss style allows for more architectural versatility, longer spans, and greater aesthetic appeal. Plate Connected Trusses utilize steel plates and heavy nuts and bolts to make a mechanical attachment between the wooden structural members of the frame. These metal connections are often on proud display to dramatize the mass and strength of the structural members.